One of the top arms developers in the United States is pushing forward the production of new laser weapons after receiving a major contract to develop the next-generation weapons system. On July 2, Raytheon announced it would be developing the system for the U.S. Army’s new Family of Medium Tactical Vehicles under a $10 million contract from the U.S. Army’s High Energy Laser Tactical Vehicle Demonstration program. It comes on the heels of an announcement that U.S. security forces may soon have laser rifles. The new weapons to be created by Raytheon will allegedly be able to destroy rockets, artillery, and small drones. The development follows trends in weapons systems around the world. Chinese news outlets reported on July 1 that regime scientists had developed the new ZKZM-500 laser assault rifle. Its beam can pass through windows and can allegedly cause “instant carbonization” of human skin. The Chinese weapon is not the type of glowing laser often imagined in sci-fi films. Instead, it emits a beam that cannot be seen with the naked eye. According to Chinese news reports, the laser rifle is already ready for mass production, and the first batch will likely go to anti-terrorism squads of the Chinese Armed Police. 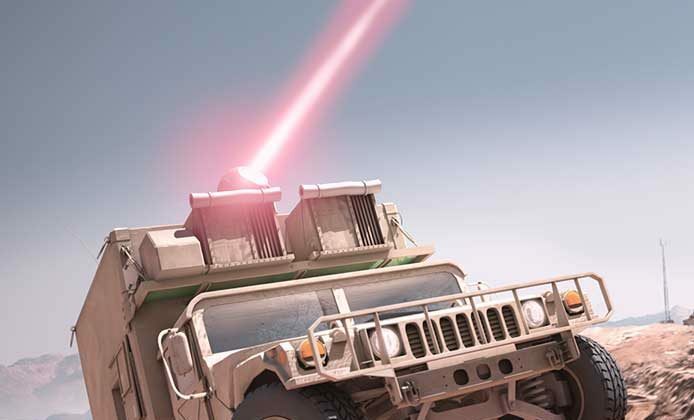 The laser weapons would fit under the broader category of directed energy weapons (DEWs), which includes weapons that work on the electromagnetic spectrum of light and the sonic spectrum of sound. Raytheon built the first working laser in 1960 and has already produced more than 50,000 lower-power military lasers, used mainly for targeting. It has been working on a laser system for ground vehicles of the U.S. Marines that could disable small aircraft. It states in a report that laser weapons are affordable, with even a large-scale system costing only about a dollar a shot. 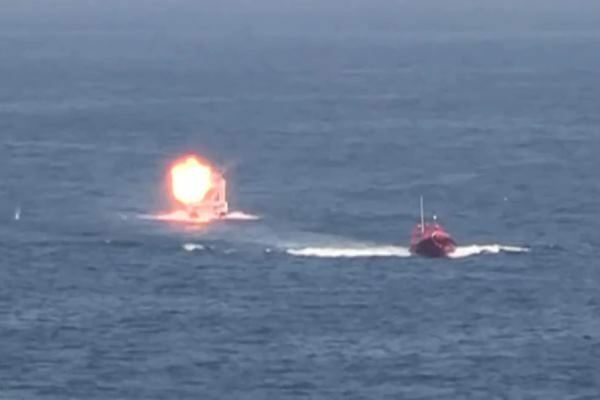 Rick Hunt, vice president for Navy/Marine Operations at Raytheon, stated in the report that the weapons could grant a critical advantage.